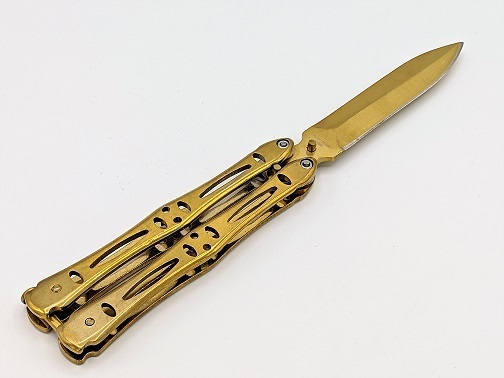 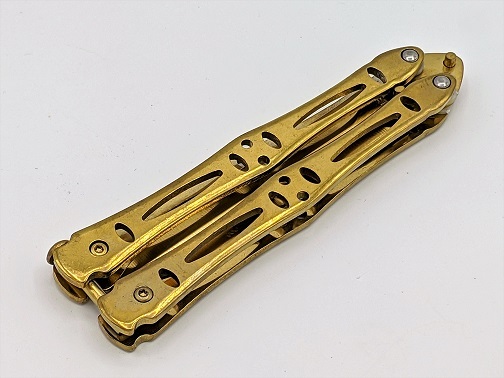 Nicely made dagger style butterfly knife features an all mirrored gold finish. 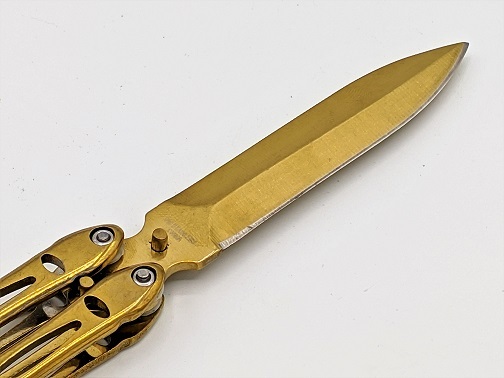 False dagger blade is sharpened on one side. 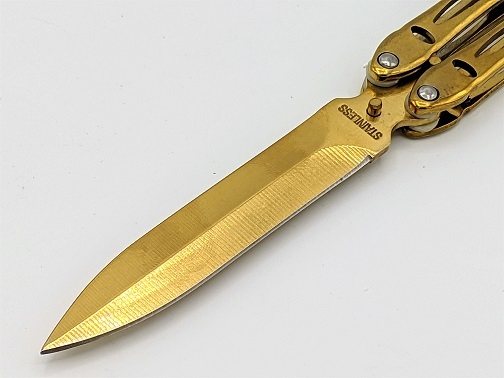 440 Stainless steel blade finished gold. 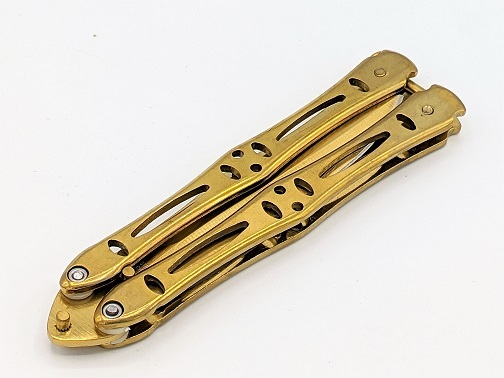 Alloy steel handles are just the right weight with a quality locking mechanism. Torx screw fasteners can be adjusted according to liking. 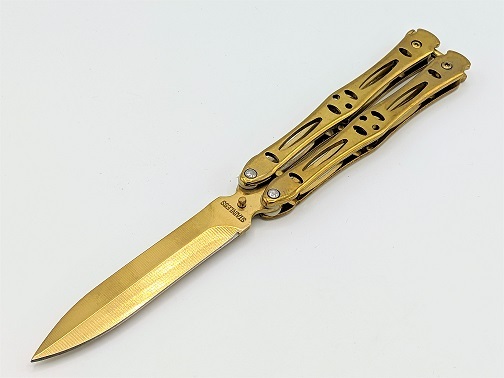 Overall length: 9" Bade length: 4"